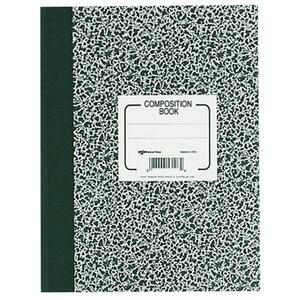 Print design covered, center-stitched Composition Book is ideal for taking notes and recording homework assignments. Book's 80 white pages are college ruled with margins. Sheet Size 8 3/8" x 11"